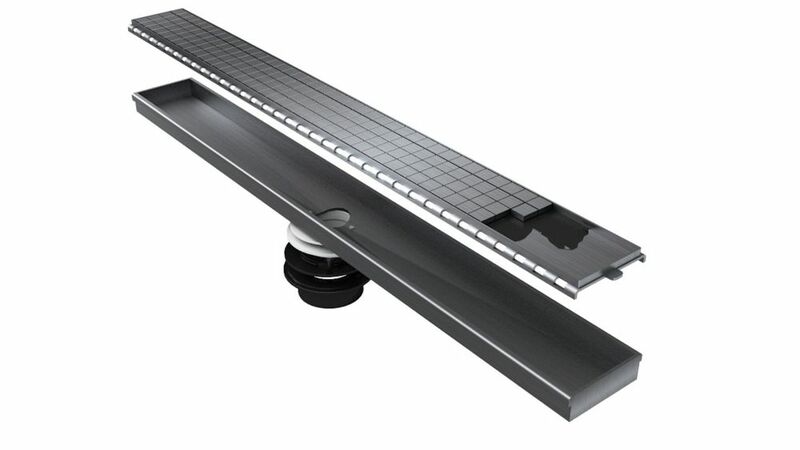 Home Depot and JAG Plumbing Canada products bring you a Selection of Quality Linear Drains manufactured for the Canadian based Shower Grate Shop. Experience the full, luxurious immersion of the sok(R) overflowing bath, with water cascading over the edges to an exterior channel. Designed specifically for the bath's unique construction, this drain places the lever in the outside channel of the bath and a pop-up drain in the bottom of the bath. This allows water to empty from the outside channel while keeping the bath filled with the maximum amount of water. Designed to work with Underscore Cube baths and Underscore Cube BubbleMassage(TM) air baths, this cable-activated rough bath drain allows for multiple installations. Tile-insert Linear Drain 60 Inch Length Create an invisible look by using your own tile Home Depot and JAG Plumbing Canada products bring you a Selection of Quality Linear Drains manufactured for the Canadian based Shower Grate Shop.